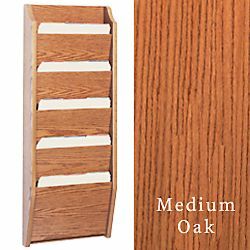 This wooden wall file, also known as a literature stands fixture, is finished in medium oak that blends beautifully with any decor. 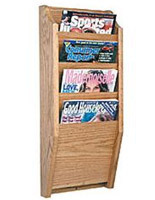 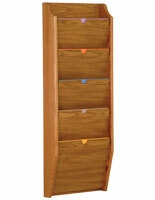 Buy quality wall racks to hold charts and magazines at this reliable site. 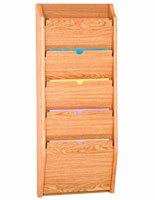 This wooden wall file is a (5) pocket system that will mount easily on a wall with enclosed hardware. 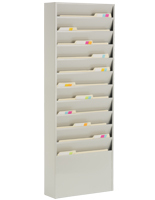 This unit has 1-1/4" deep dividers to fit patient or client documents. 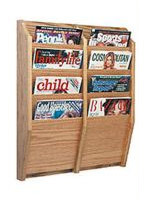 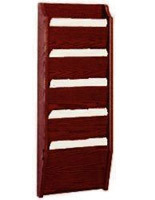 This wooden wall file can be sold in bulk for larger venues like hospitals, at huge discounts!